Instead of writing into magazines saying what I’ve worked on satellites I thought I’d switch it up and write blog posts instead allowing more viewers to see what can be worked, so this report is the start of that. Since moving to Scotland it has reset my DXCC/VUCC totals to zero so I’m trying to focus on working as many new grid squares and countries as possible so if you can help in that game do let me know! 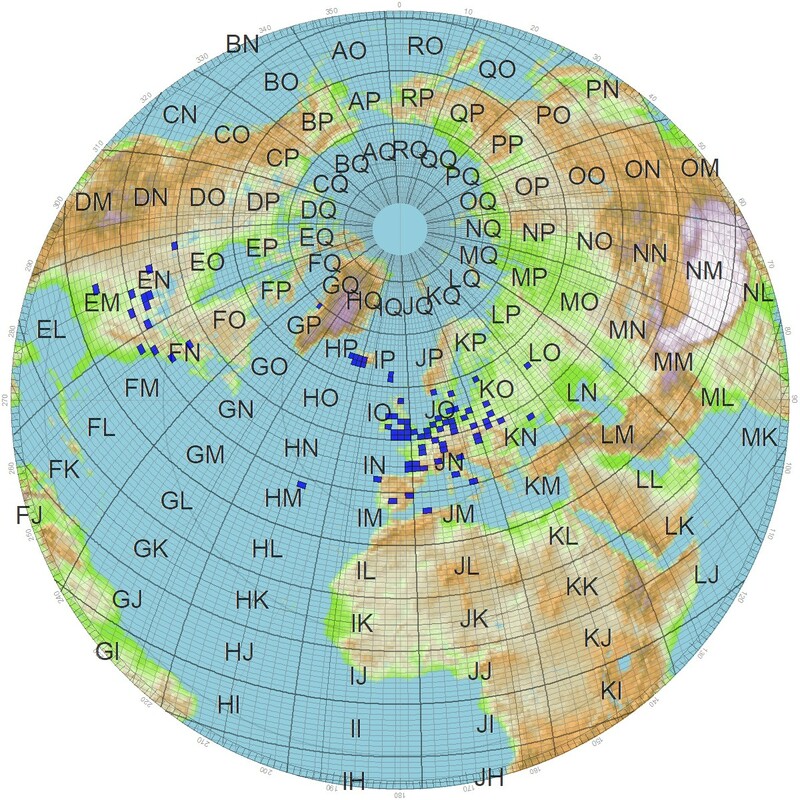 July has been rather good for new squares with Gabe NJ7H visiting Iceland, the Faroe Islands and then Greenland its been quite surprisingly easy pickings and quite fun working on the more under utilised satellites like UKube and the XW series of SSB satellites. This isn’t forgetting the many other stations across Europe from Sweden, Norway all the way down to Spain and Italy. 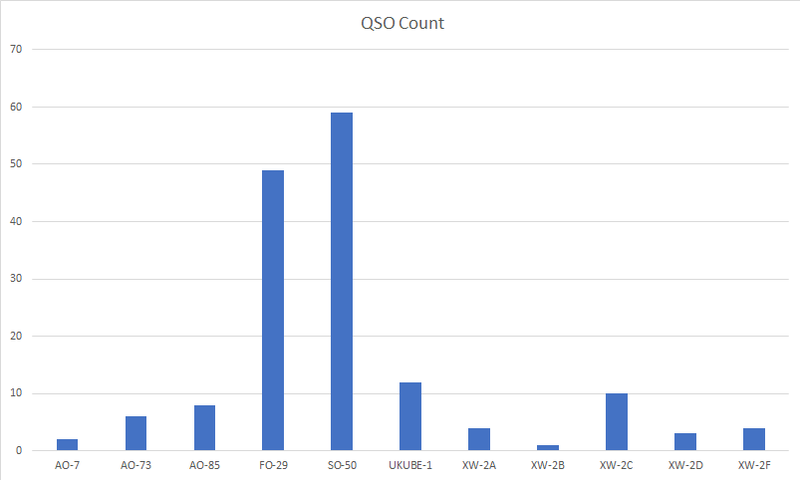 Another thing is getting people to remember the new callsign still regularly see reports of people saying they worked 2E0SQL and I can assure anyone the last time I worked using that callsign was 07/07/17 which was the day I packed the station down in Oxford before the move! Work around the station still continues the antennas still need to get put up higher so that I can work all the passes but that will happen as and when I’m also trying to build a crossed dipole for 10m to try to utilise NO-84 & AO-7 better hopefully that will be completed before winter kicks in. I’m of course still searching for more squares and DXCCs so if you can help do let me know!